The Department of Marine and Coastal Resources has dispatched a team of experts on a patrol boat to look for sharks in the sea of Hua Hin in Prachuap Khiri Khan after one foreign tourist was reported to be attacked by a shark as he was swimming in the sea. 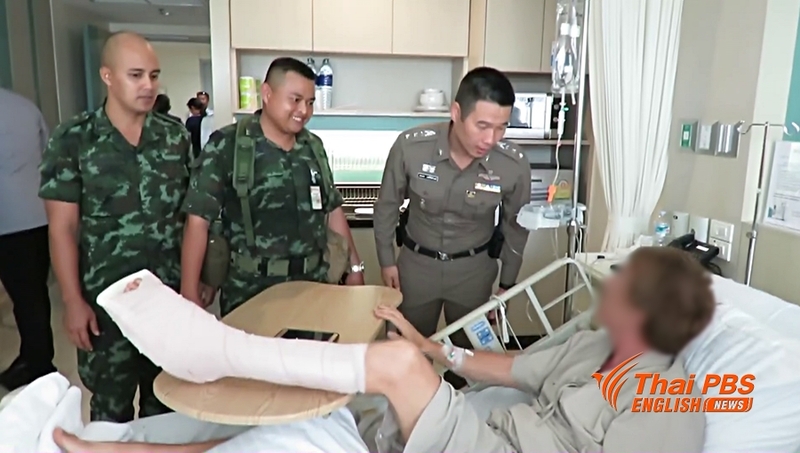 Mr Sophon Thongdee, deputy director of the department, said Tuesday (April 17) that experts were not sure that the tourist was attacked by a shark because there had never been a single case of shark attack in the Gulf of Thailand except a case in Phuket in the Andaman sea last year. Nevertheless, he said that a team of experts was dispatched on a patrol boat patrolling the Hua Hin sea from Wat Tham Khao Tao through Khao Tao beach, Hat Sai Yai, Hat Sai Noi and Hat Hua Hin beaches to look for sharks. He said that the officials would also talk with the abbot of Wat Tham Khao Tao who claimed to have seen sharks swimming near the beach at the temple in the afternoon. 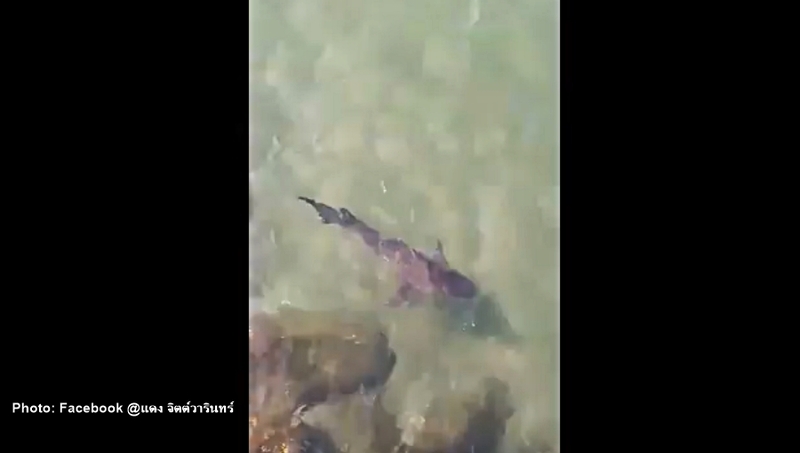 The abbot, Phra Khru Boonyapiram, claimed he had taken still pictures and video of the shark with his smart phone on April 16 and posted them on the social media. In the meantime, Mr Sophon said that the wounds on the victim had to be examined carefully by forensic experts who would be able to give the answer whether they were inflicted by a shark or not.